Looking for the best women’s watches within a budget? We’ve got you covered. A timepiece can not only show you the time, but it’s also a great accessory for your wrist. Watches come in numerous shapes, designs, and various price tags, and it’s easy to find one that suits your or someone else’s tastes. If you want to find a watch that doesn’t exceed the $2,000 line, you’ve come to the right place. Below is a list of best women’s watches that provide great quality and come with friendlier prices. This is a great place to start! 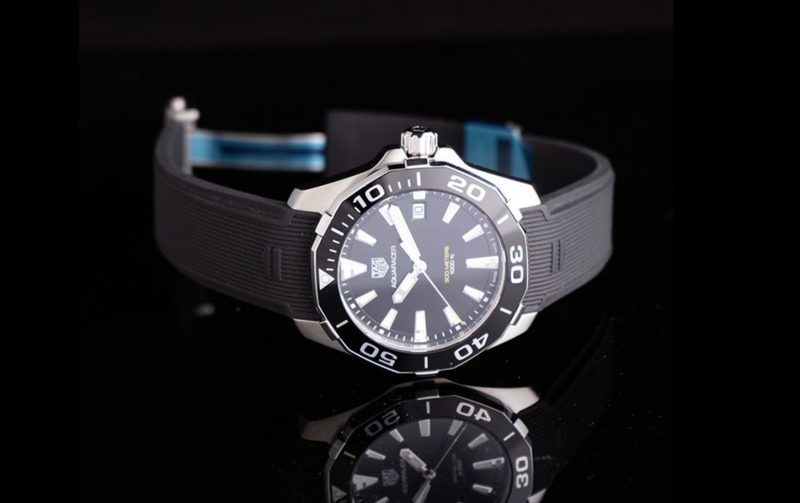 One really great item from the Swiss watchmakers TAG Heuer is the Aquaracer model. Amazing for sporty and stylish women, this watch was inspired by the aquatic world in order to make the wearer feel confident. The silver look will bring a level of elegance to a woman’s wrist, and it is also highly functional. Things that people spent a lot of working on hold a big value, not only in terms of money but in sentimental terms as well. MICHELE Deco has hand painted ginkgo leaves on the moth dial, and the brand’s signature looks mighty. It comes with a seven-link stainless steel bracelet, and it can be switched with any 16mm MICHELE strap, which makes it quite versatile. Femininity doesn’t mean a lack of strength, and this timepiece shows it through its silver, powerful-looking design that looks delicate at the same time. The pearl dial provides a special type of refinement too. It contains 10 diamonds marking the hours, while 4 silver Roman numerals mark the 12 and 6 o’clock. With such a lovely design, it’s hard to resist this watch. This one is for all you vintage fans! The Grasshopper, or how it was originally named, The Aristocrat, comes with a two-tone dial and has a gold-filled case with soft curved lines. 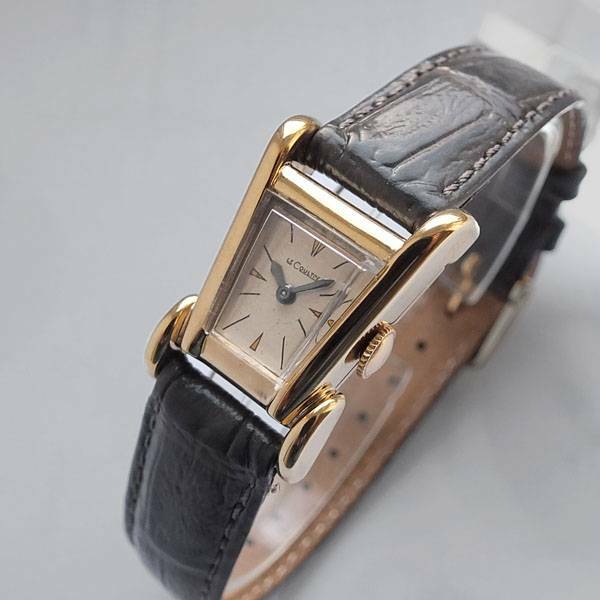 With its vintage look, this watch will look great on a lady’s wrist, especially combined with the right clothing. It’s not too big, making it very delicate for a lady, and the straps are comfortable. It can be worn casually or at special events. If you’re looking for something that provides femininity as well as simplicity, Tissot Generosi-T is a watch you should consider. It was designed with high-quality materials and components to increase its functionality and make it durable. It can be a beautiful accessory for a woman, and its amazing curves add to its appeal. 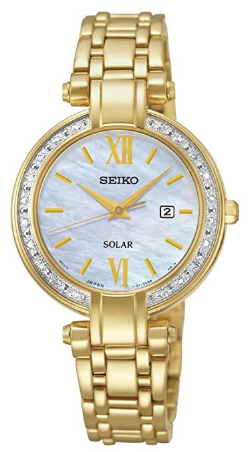 Seiko Tressia comes with a luxurious and lovely design to please all ladies out there. 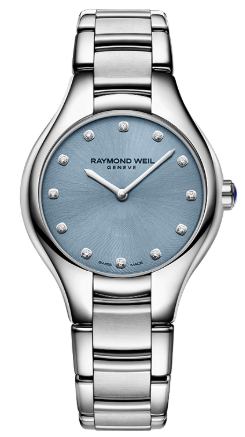 Featuring a diamond-lined bezel, it will surely not disappoint any woman. 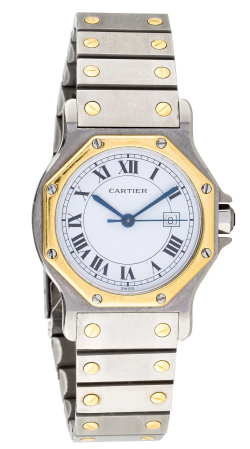 It is made of gold-toned stainless steel, and the dial has Roman numerals. Additionally, it has a link bracelet with a push-button deployment clasp. The movement happens through quarts utilization, so it takes energy from the light and stores it in a self-recharging battery. So, not only that you’ll own a gorgeous-looking watch, but the battery doesn’t require changing either. What else could you wish for? While you can find it used for under $2,000, this is a watch that means business. 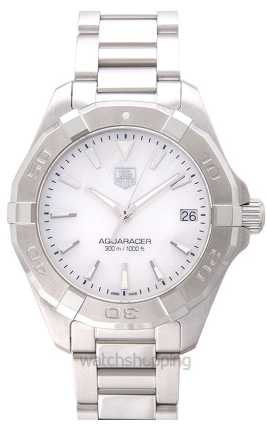 Coming in a modest size with a two-tone construction and a clean white dial, this piece is something worth owning. It honors Alberto Santos-Dumont, the pioneering Brazilian aviator. It has an amazing aesthetic, and the dial numerals are Roman. 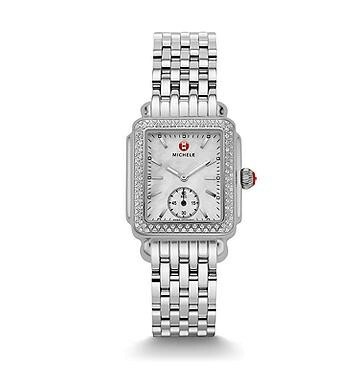 The vintage design along with the refinement make this watch perfect for a lady. 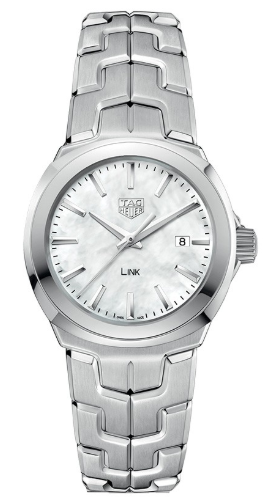 Manufactured by Swiss watchmakers, TAG Heuer Link Ladies is a smaller version of men’s Link. Created with women in mind, this item provides a lady with the style and grace she seeks and deserves. It is designed with sparkling diamonds adorning the bezel, and it came in 2016 with a whole new design. This timepiece is not only a stylish accessory, but it also has a high-level of performance. 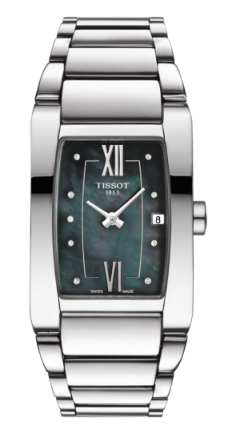 Sapphire crystal protects a great-looking mother of pearl dial, while the bezel contains diamonds. What makes this item great is the fact that you don’t have to change its battery – it’s powered by sunlight. It has an energy-efficient movement with long power reserve and cabochon crown. Additionally, it has 100m of water resistance. Choosing the right watch for a lady may take some time and proper research. If you or someone you care about would like a beautiful and performant watch, this list provided you with some exquisite examples! Hopefully one of them got your attention and will soon sit beautifully on your or a special lady’s wrist.